Arguably the two most popular women wrestlers in WWE today are set to face off this Sunday and you could call it a dream match that came completely out of nowhere. I’d honestly be surprised to see Becky Lynch or (more so) Ronda Rousey lose this match. Becky seems like she’s without a rival at the moment, and number one contender to the RAW Women’s Championship Nia Jax is on Ronda’s tail, so if WWE would prefer not to have one of their champions look weaker than their counterpart, then Nia would be the perfect solution to disrupt this match. Someone could always just win by countout I suppose, or even better – a double countout – both champions stay strong. I foresee some sort of draw, interference or if nothing else, a straight up Ronda Rousey victory to conclude this match. Brock Lesnar vs. AJ Styles II. Their first encounter wasn’t too bad of a match, eh? I don’t see why this one can’t be somewhat similar. Last time AJ put up a fight, on the verge of forcing the Beast Incarnate to submit, but would ultimately fail and Brock Lesnar would win the match. 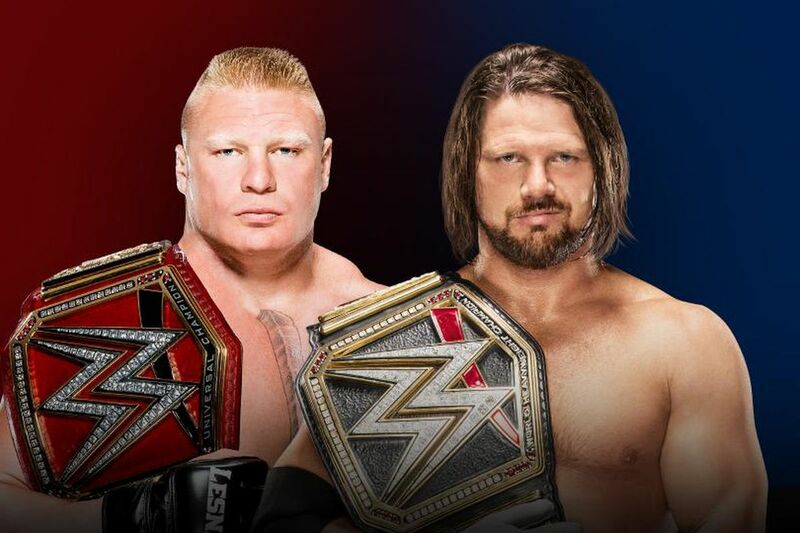 The way I see this one going down is the exact same way it did the year prior – AJ looks good and strong in the process, but Brock gets a win after, say, a 10 minute match. Joe or Strowman could always get involved, but honestly, I can’t see that, because I see this whole interference thing occurring in other matches on the card as well and WWE isn’t (well, shouldn’t) going to book the same exact outcome for each given match. We’ll touch on that more in a moment. There have been rumblings for about a month now that claim Shane McMahon is in the process of turning heel. Why not give us a little taste of it at Survivor Series? If he’s going to be on Team SmackDown, perhaps he could inadvertently cause an elimination for one of his own, or something along those lines. If WWE is serious about this whole thing, do something to plant the seeds at the Survivor Series. Maybe even go all out, do it right there and then, have him not-so-accidentally attack his teammate. I don’t like that they are focusing on Shane McMahon instead of the more worthy competitors on SmackDown Live, but if they are truly keen on this heel turn, at least make it good, plant the seeds on Sunday. This is one of the instances I was talking about above when touching on the Brock Lesnar match and when I spoke about guys getting involved in their rivals matches. This one is almost certain. Dean Ambrose isn’t on the card, but he’s definitely sabotaging Seth Rollins in his match against Shinsuke Nakamura. That would not only progress Dean and Seth’s feud but it gives Nakamura a much needed win. The poor dude, along with his United States Title, has been non-existent as of late, so why not just present him with a big win over Rollins? 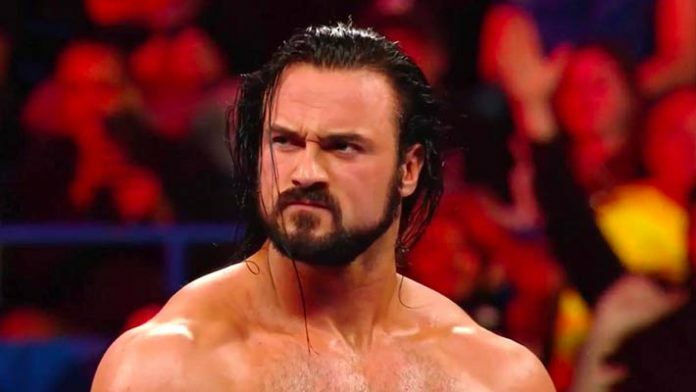 Drew McIntyre: Chosen One, Scottish Psychopath…Sole Survivor? I had already spoke about Drew McIntyre more in depth in a previous article, but he’s been at the top of his game ever since his main roster debut, ever since his return to WWE and NXT as a whole really. He’s bound for a Universal Title run, a Royal Rumble win, something significant. Drew being a sole survivor would be something to build off of, a great beginning to a huge push. Sole survivor at the Survivor Series, a Royal Rumble Match win and a Universal Championship match at WrestleMania to cap it all off sounds great to me. Thanks for reading. Hopefully Survivor Series is memorable to some extent this Sunday. Something decent has to come out of it, right?